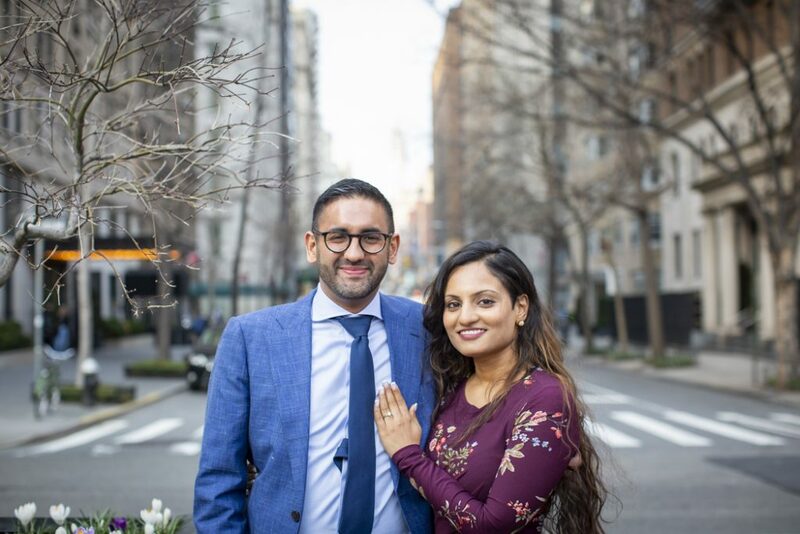 One of our favorite Gramercy Park engagement proposals was with Keshav and Namita with this past weekend during their romantic trip. 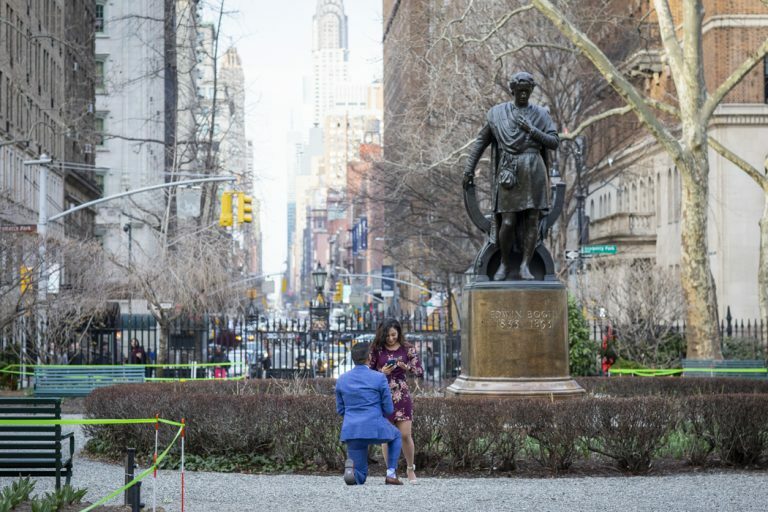 Booking a stay at the Gramercy Park Hotel, Namita thought they were taking a stroll through the private park. Keshav had coordinated with the doorman to be let in a little after closing. 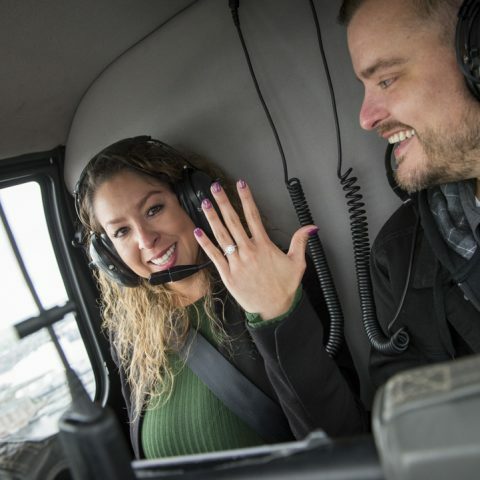 They would be the last guests allowed inside but would be leaving engaged. 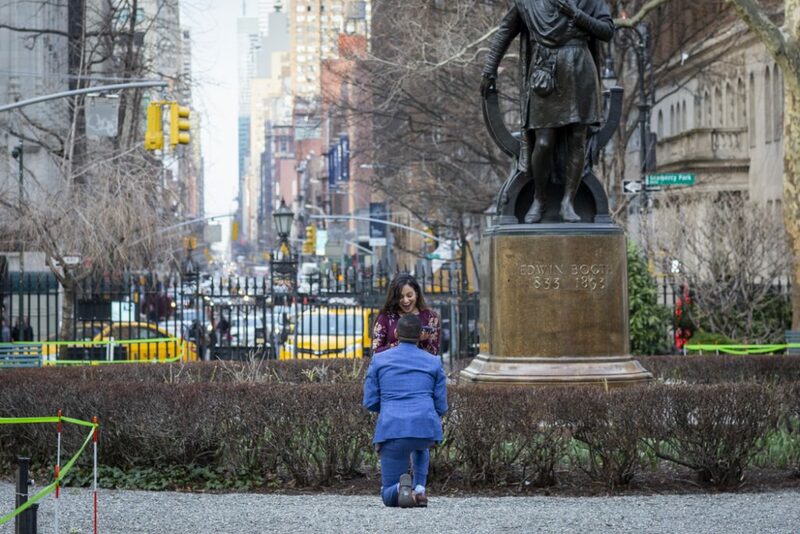 The park is a bit difficult when it comes to capturing your proposal professional due to the guest-only rule. 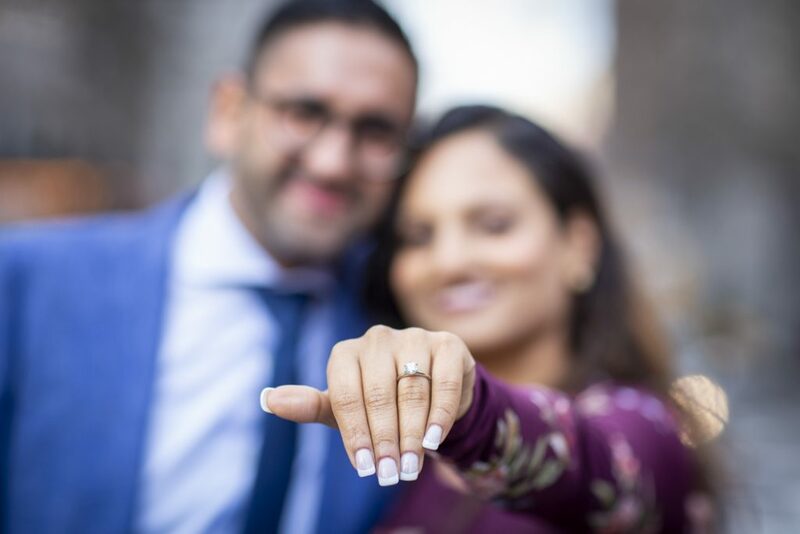 Keshav could not let the the photographer in without potentially giving away the surprise. We coordinated with Keshav on an exact location in the park. Our sneaky photographer positioned himself accordingly and shot through the bars of the gate. 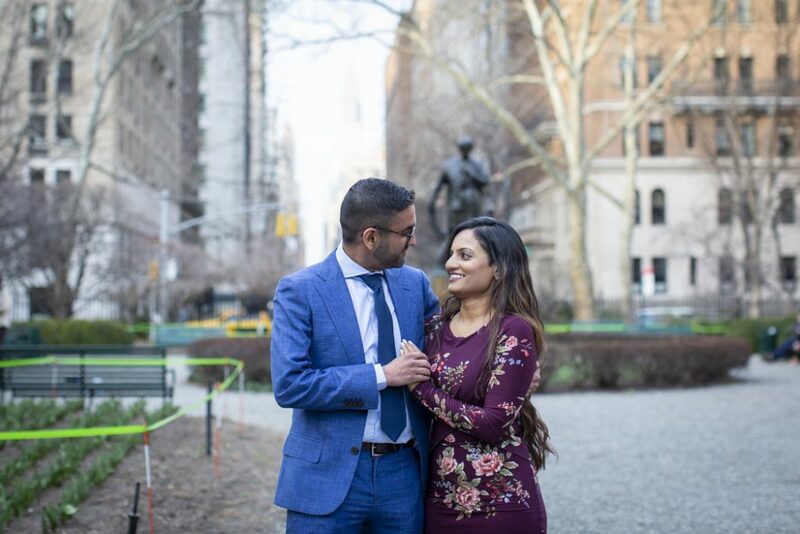 It was a picture-perfect moment followed by a beautiful portrait session of the newly-engaged couple. Keep the romance flowing by following us on Facebook and Instagram!